Each month, students participate in an open mic night, an event that is notable for bringing the community together over a significant distance. Image courtesy of Dances With Words. 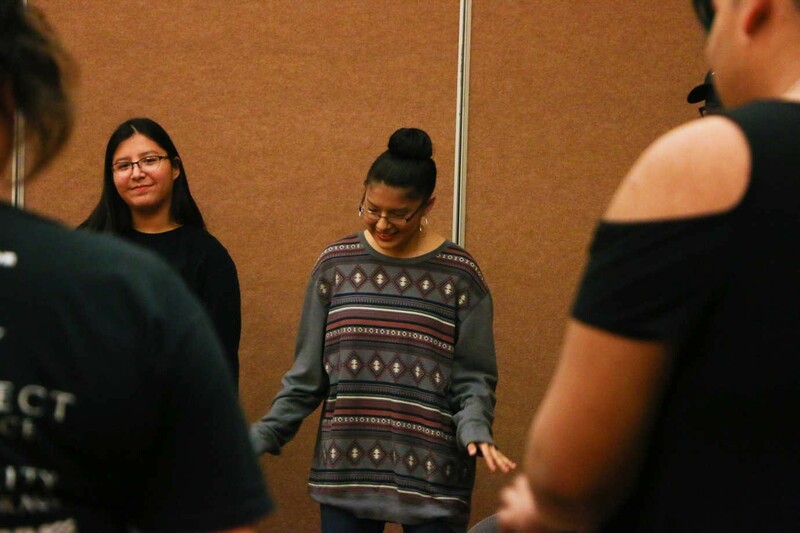 With a focus on oral tradition and spoken word poetry, Dances With Words empowers Indigenous high schoolers, preparing them to become artists and civic leaders who preserve their community’s Lakota culture. Dances With Words works in high schools on and near the Pine Ridge Indian Reservation in South Dakota. Students attend weekly Dances With Words gatherings where they create spoken word poetry and music. Each month, students participate in an open mic night, an event that is notable for bringing the community together over a significant distance: the high schools are as many as 100 miles apart. With help from an NEH grant, the First Peoples Fund is creating a toolkit for mentors and teachers, which it will provide to other tribal communities in South Dakota and the region along with small grants to help with new program startup costs. 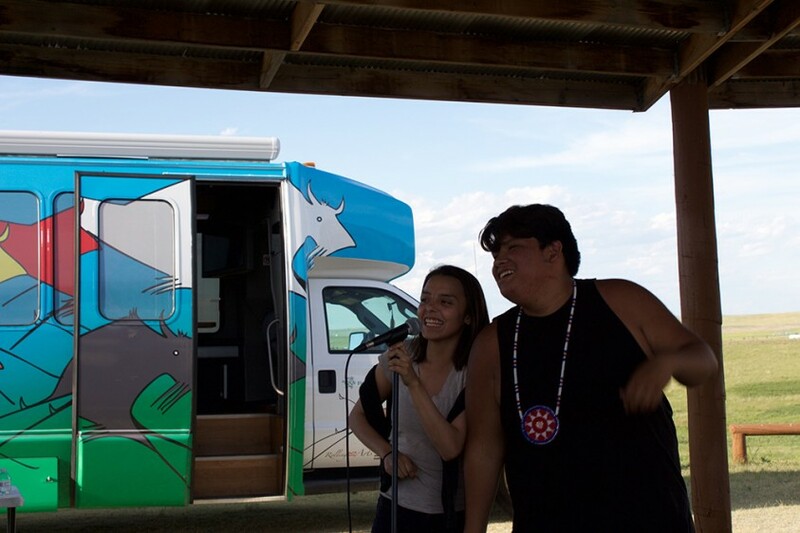 Dances With Words empowers Indigenous high schoolers, preparing them to become artists and civic leaders who preserve their community’s Lakota culture. Video courtesy of Dances With Words. By participating in Dances With Words, students gain a strong, nurturing community composed of other teenagers and adult mentors. Mentors acknowledge participants’ expertise in their own life stories, guiding young people in dialogues concerning their tribal histories and the way those histories continue to bear on the present. Youth describe the workshops as “a safe space” that feels familial, a place where they can address their personal and community struggles. And in response to student requests, Dances With Words has begun to incorporate regular tiyospaye—or community-building—days, during which participants visit sacred sites in He Sapa (the Black Hills) and learn from their elders and culture bearers. Dances With Words hopes that, by providing toolkits to other high schools in the region, they can create more safe spaces and stronger community bonds for youth who may be struggling. Youth describe the workshops as “a safe space” that feels familial, a place where they can address their personal and community struggles. Students participate in a Dances With Words poets' circle. Image courtesy of Dances With Words.